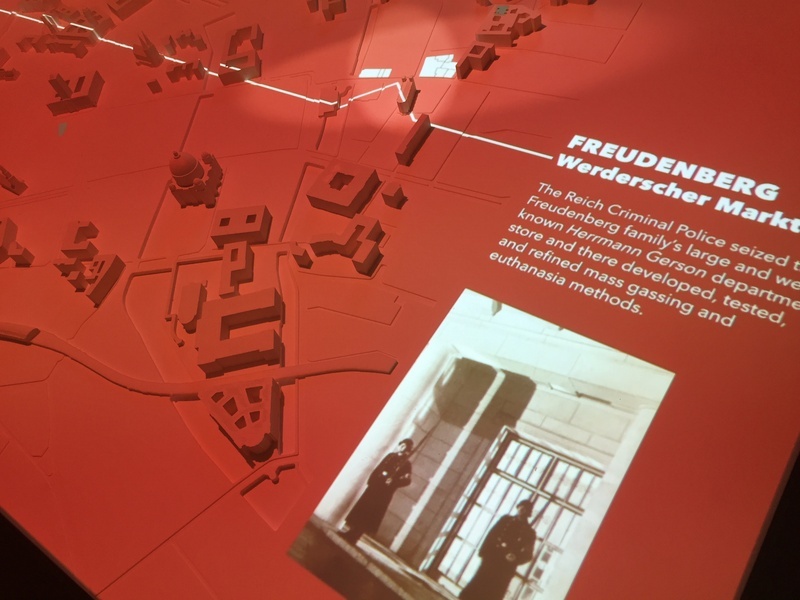 On view at the Leo Baeck Institute until October 2016, the Stolen Heart Video Map illustrates the expropriation of the five Jewish family homes in Berlin during the Third Reich. 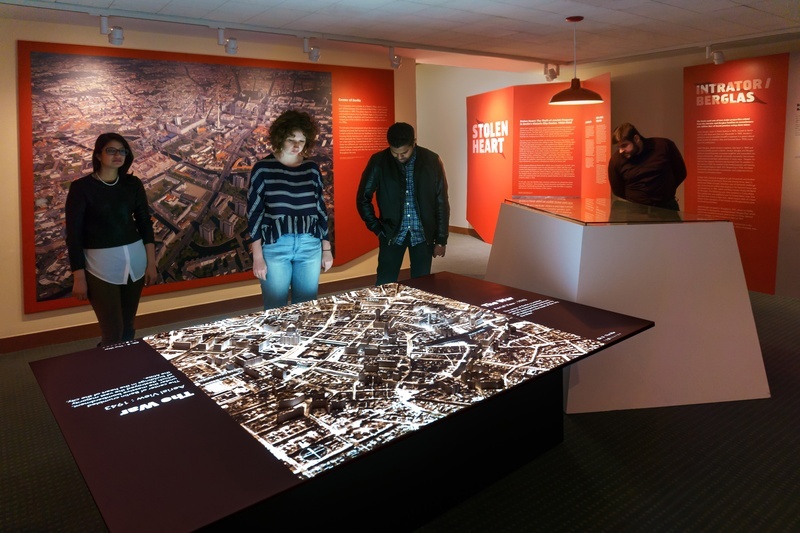 The map is a central feature of the exhibition Stolen Heart: The Theft of Jewish Property in Berlin’s Historic Center, 1933–1945, depicting the contributions of five Jewish property owners to Berlin’s central district, Mitte, followed by the destruction and theft of their properties during state-sponsored "Aryanization." The Stolen Heart Video Map features homes and properties in context with aerial views of the city center from 1933 to present day. 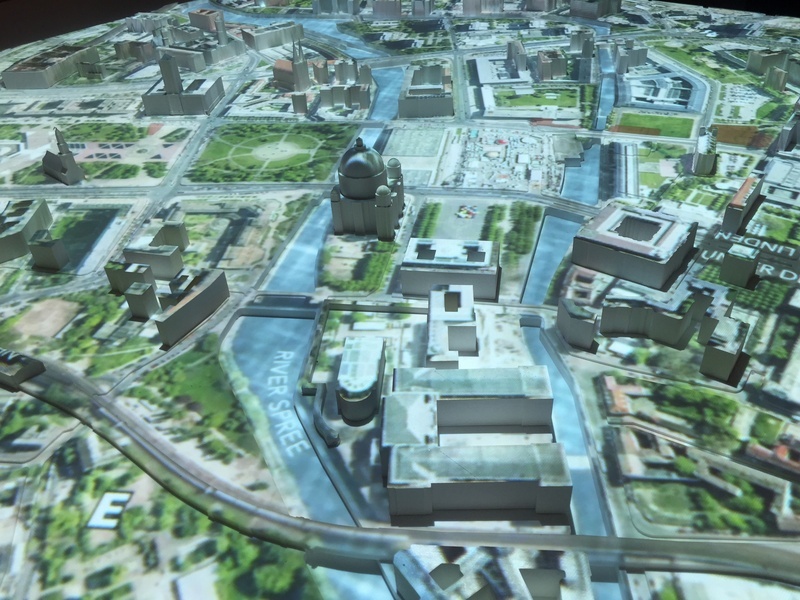 Featuring archival footage and topographic, time-lapse elements, the video is projected onto a 3D-printed, 1:1500 scale model of Mitte.